The lowdown: 21 years after Unforgiven, Clint Eastwood again dives deep into the psychological impact of killing with this nerve-fraying war movie. 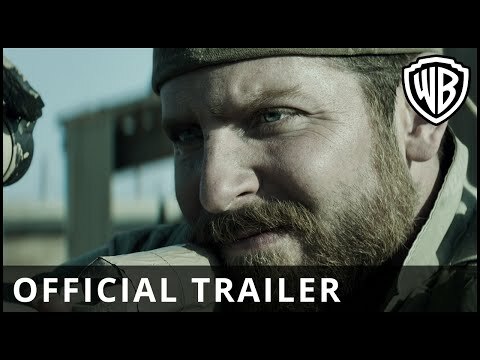 Bradley Cooper is Chris Kyle, the US Navy SEAL with 160 confirmed kills, making him the most lethal sniper in US history. The cumulative effect of four tours of Iraq on the man dubbed “The Legend” by his fellow soldiers on both Kyle and his family is impressively realised through brutal combat scenes and stand-out performances from Cooper and Sienna Miller as Kyle’s wife. 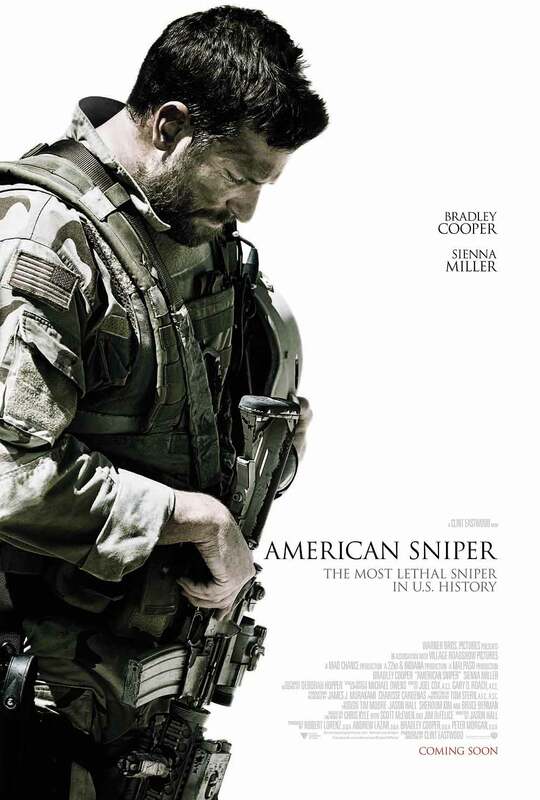 The full verdict: David O. Russell and Steven Spielberg were down to helm American Sniper. Ultimately Clint Eastwood secured the gig, and is a much better fit with the man Chris Kyle. A Texan cowboy raised with rigid Christian values of good and evil and lethal accuracy with a firearm, he is every bit an Eastwood character as Dirty Harry or Unforgiven’s William Munny. And the director again sets his sights on the effect killing has, even if the killer believes his cause is just. With typically brusque economy, Eastwood sketches Kyle’s childhood, courtship of bride-to-be Taya (Miller, after Foxcatcher again impressing in the seemingly thankless role of a wife), the hell of Navy SEAL boot camp training and the 9/11 attacks that send Kyle to the Middle East. Where American Sniper hits its mark is in alternating the adrenalin rush of tours in Ramadi, Fallujah and Baghdad with the unnerving serenity of the States. Like the central character in The Hurt Locker, Kyle is a man who can only function in the urgency of high-pressure situations, accused of having a “saviour wish” by a buddy when he repeatedly puts himself in the line of fire to protect his band of brothers. Eastwood proved himself capable of fiery combat scenes with 2006’s Letters from Iwo Jima, and here captures the sheer terror of urban warfare against another fanatical enemy. The definition of heroism is tested with real fire as Kyle trains his sights on men, women and children to protect the marines doing dangerous house-to-house searches for key Iraqi insurgents. Tying together the episodic structure is Kyle’s hunt for Iraqi monster “The Butcher” (Hamada), who executes families for speaking to American forces, and his cat-and-mouse chase through battle-torn streets with a Syrian Olympic sniper (Sheik), out to claim the six-figure bounty the insurgents have placed on Kyle. 40lbs of muscle heavier than we’re used to seeing him, the thick-necked Cooper delivers a career best here. A tightly wound boy scout, the conflict behind his unblinking eyes says more than his clipped, dismissive words, while the cost of every round fired and friend lost literally seems to line his face. A standout moment in a nondescript garage has a veteran thanking Kyle for saving his life in Iraq. Although the veteran is missing a leg, the confusion and sadness in Cooper’s performance makes it clear Kyle has returned home more broken than the man before him. What American Sniper is predictably missing is any discussion of the murky rationale for the US being in Iraq. Kyle’s seemingly endless crusade is fuelled by the belief, “There is evil here” and the film does not stray far from this assumption. But, as a ground-level “soldier-experience” movie, American Sniper is outstanding, and as a sombre footnote in the closing minutes the war is seen coming home in the most cruelly ironic way possible.